The Republic of Macedonia is a land locked country in the Balkan peninsular (not to be confused with the region of northern Greece with the same name) and represents part of the ancient Kingdom of Macedonia, listing Queen Cleopatra amongst it's monarchs. The country has a mostly rugged landscape with mountains rising to 2,700m, and 3 large lakes near its southern border. 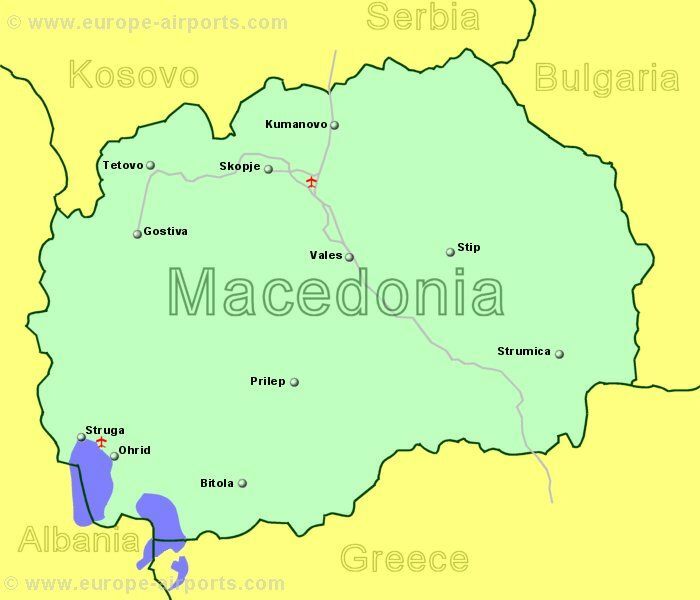 Macedonia was previously part of Yugoslavia and is formally known as the Republic of Macedonia. 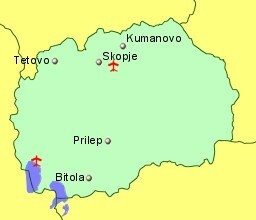 However because of disputes with Greece over the name, it is also known as the Former Yugoslav Republic of Macedonia, shortened to FYROM. (1 Dinar approx = 0.014 GB Pounds or 0.016 Euros).